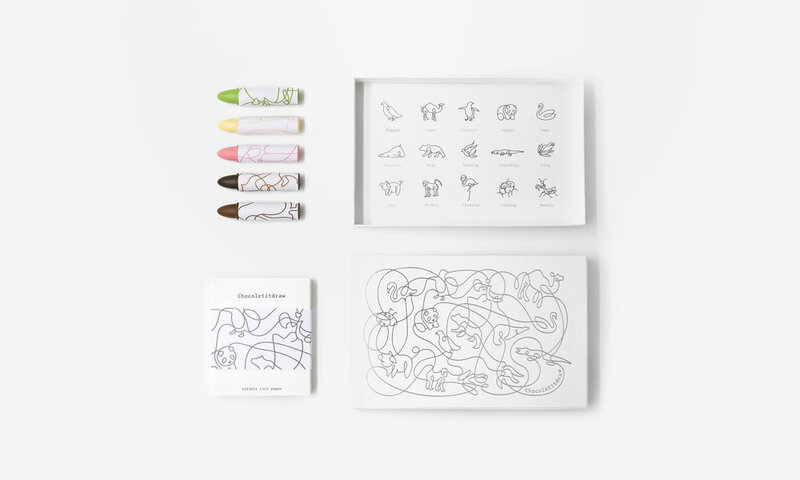 A drawing kit where the paper and crayons are both edible is a dream come true. Yummy. Brought to you by Shanghai based design studio Rong in collaboration with chocolate brand Ameno. Simply genius. Flavours (or colours) include dark chocolate, milk chocolate, white chocolate, strawberry chocolate, and matcha chocolate.